I have always believed in adopting…rather than purchasing pets or horses. 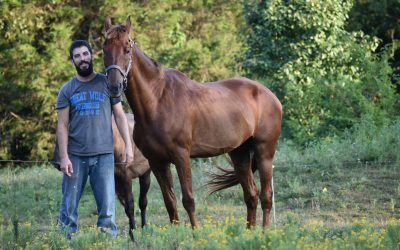 Several months ago I learned of a wonderful rescue group called Love This Horse Equine Rescue, Inc. I followed them on Facebook and read many wonderful and inspiring stories about the horses, mostly Arabians, that they rescued from various situations. Vera Kalila, the Executive Director of the organization, always seemed to handle these rescues with such knowledge and grace. She never belittled people, she never ranted about the rescues…she always took the horses in knowing that if she didn’t step in, no one would. 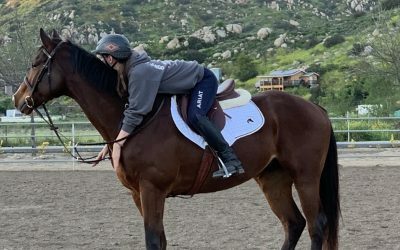 In December, Vera mentioned a yearling gelding was available for adoption. His name was Astro. He was a beautiful bay, with huge, gorgeous eyes and he captured my heart from the moment I saw his photo. Vera and I corresponded for a couple of weeks about Astro. 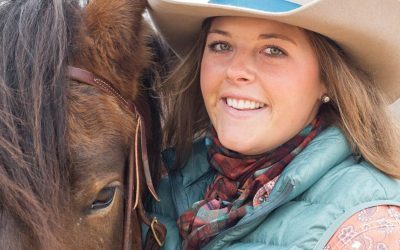 I was going over the pros and cons of adopting a “baby” because raising a young horse can be challenging! Finally, I piled my mom and my best friend into my truck, and we drove the 2 1/2 hours to meet Astro in person. It was love at first sight! He was so kind and gentle, and I just knew that he needed to be with me. He will be mine forever. Vera does a beautiful job with the rescues! The horses are loved, well cared for, happy and healthy. When possible, the horses are trained, or retrained, to become suitable riding partners. I will forever be grateful to Vera and Love This Horse Equine Rescue for giving me the opportunity to adopt Astro. It’s a dream come true and I hope that everyone experiences the joy that comes from adopting a horse. What does RightHorse mean to me? It means finding a horse that touches your soul. It means adopting rather than purchasing. It means people, within the equine community, working together; networking, educating, sharing, helping and supporting. It means doing everything within our power to place as many horses as possible into loving, forever homes. If I did not have two horses that I rescued, I would adapt a horse from Love This Horse. I grew up with Arabs and know how special they are. I have been to the rescue many times and always find happy, clean and beautiful horses. It is now the place that I give financial support to. I wish I could give more, because Vera makes sure each horse is given the training to showcase them. This is not cheap. If you support a rescue, try to save some for them. Money is spent on the horses. All so very true! The horses out there for sale are nice horses. Too many big barns are culling their herds too often because at the same time many long time Arab farms are getting out of it and have many well bread horses. Every dollar and good homes matter.